The richly appointed Escapade with an entertainment system including TV/DVD, tracking satellite, satellite radio, and DVD Home Theater Sound System, features a faux fireplace in the main salon. 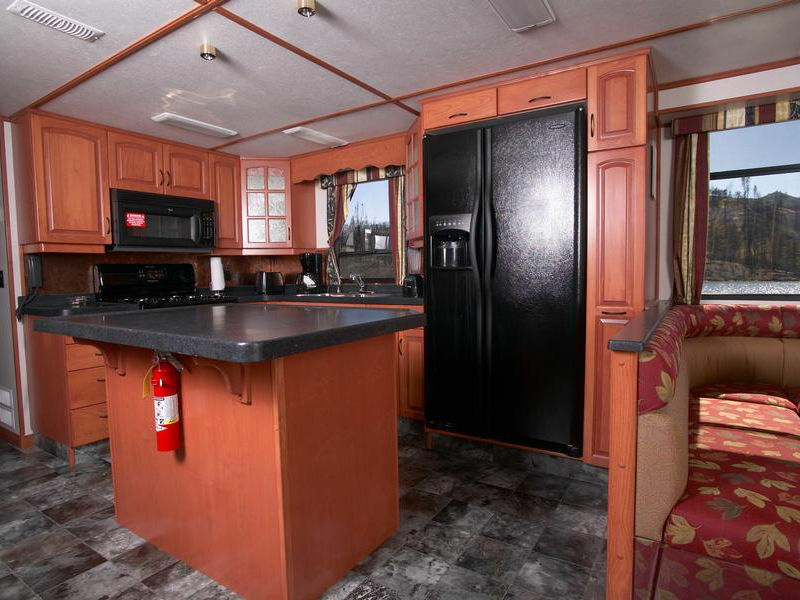 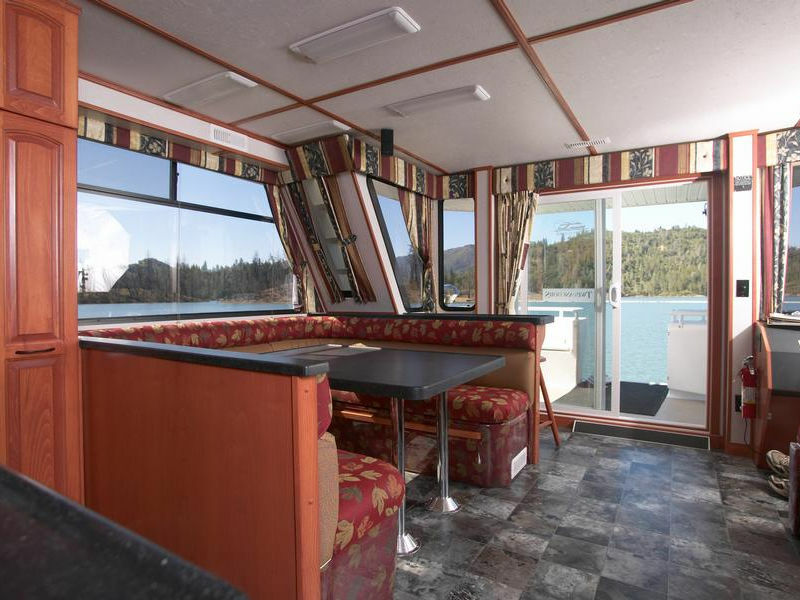 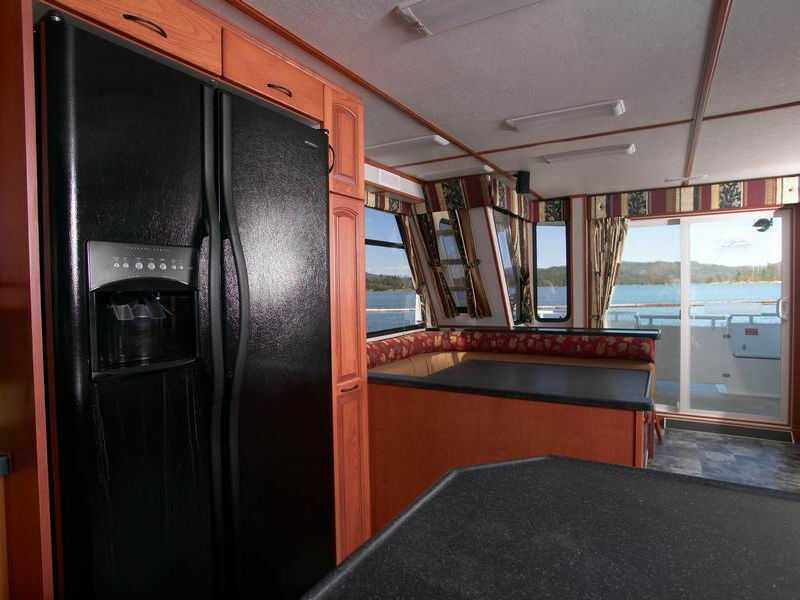 The avant-garde galley incorporates a spacious 25 cu. 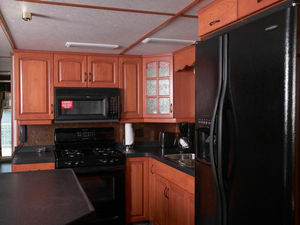 ft. side by side refrigerator/freezer with ice and water dispensers. 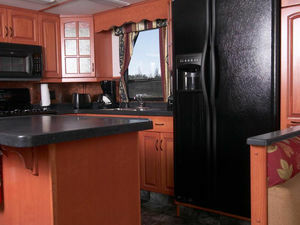 The light maple cabinetry perpetuates the soft, inviting atmosphere found throughout the Escapade. 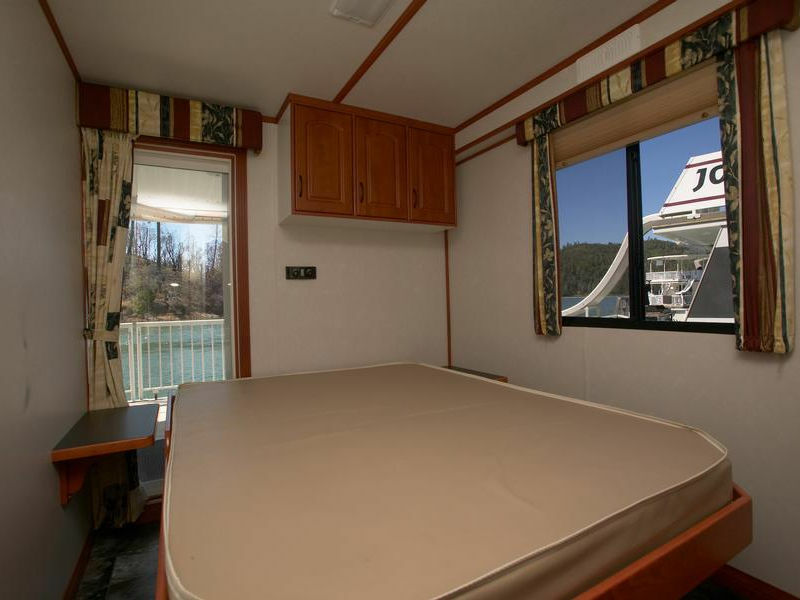 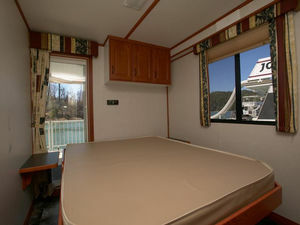 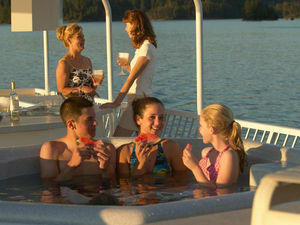 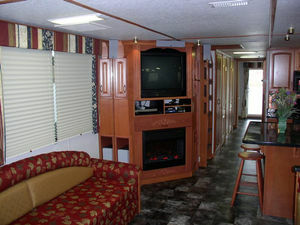 Two private staterooms, 2 convertible couches, one full and one twin size bunk are on the main level. 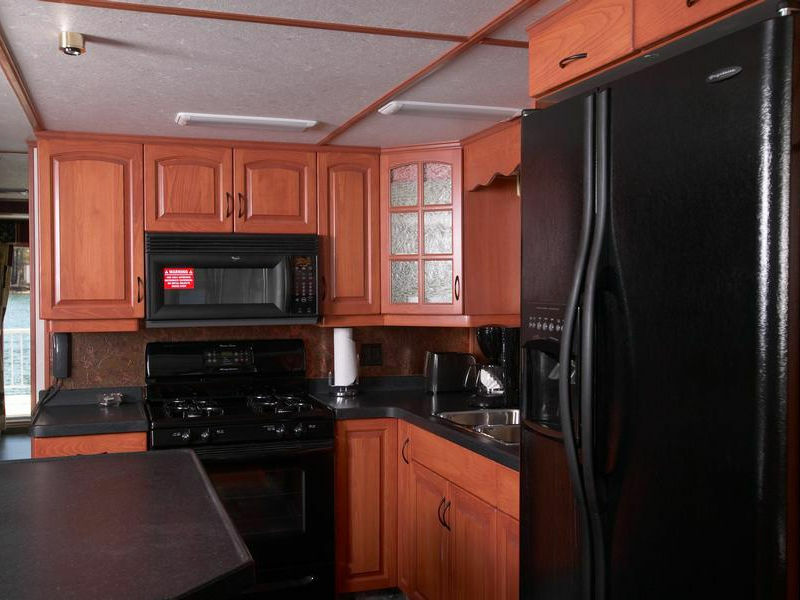 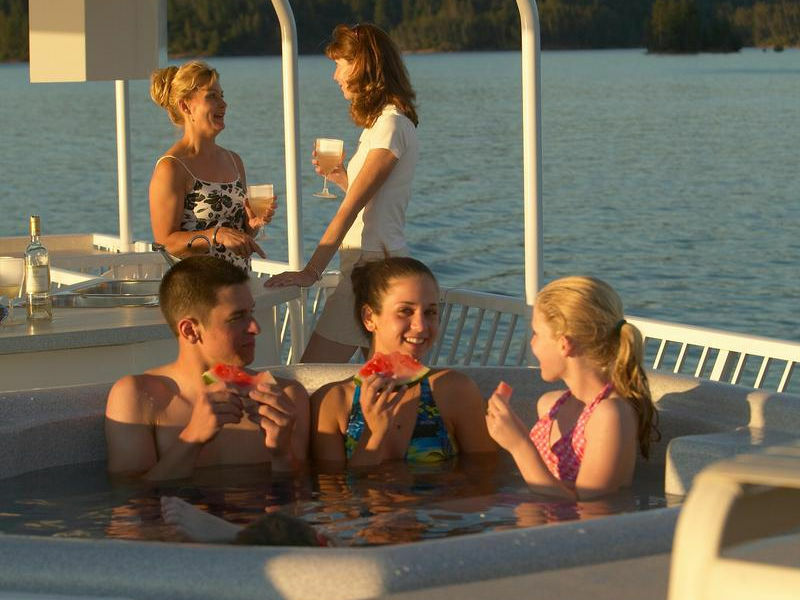 Move your party to the upper deck where the 6-person hot tub, waterslide, TV/DVD, observation counter and second galley with barbeque and fridge are located. 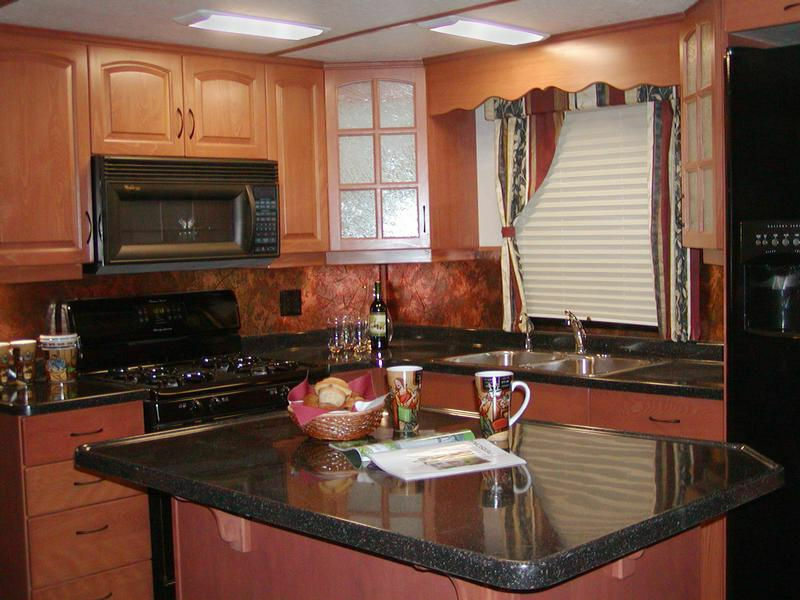 A fiberglass hardtop with ceiling fans provides a comfortable arena for cooking and relaxing. 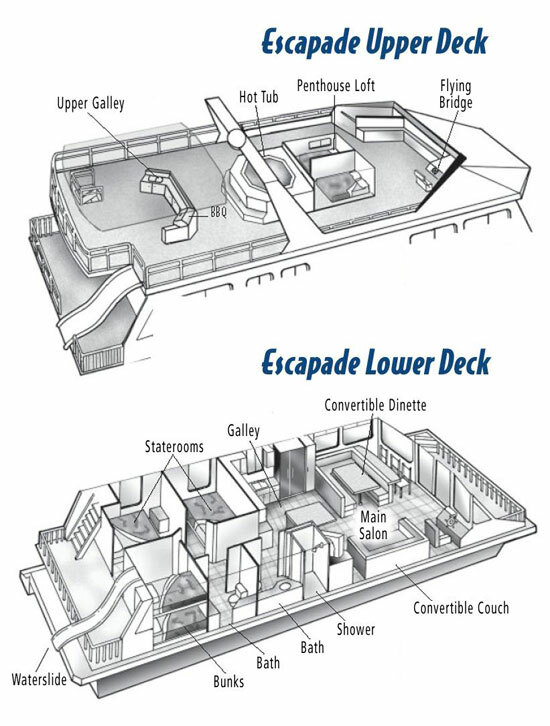 Including the air-conditioned penthouse loft, the Escapade sleeps 15 comfortably. 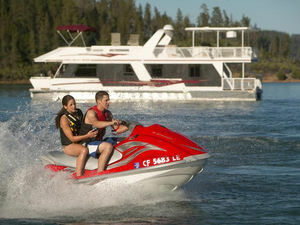 The rental rates listed do not include fuel expenses or other optional fees. 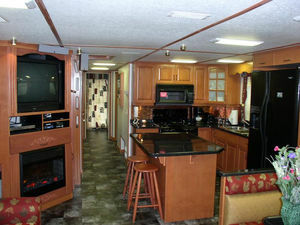 A $1,000 down payment is due at the time of booking, and a refundable security deposit of *$1,000 is due on arrival. 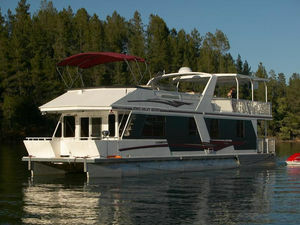 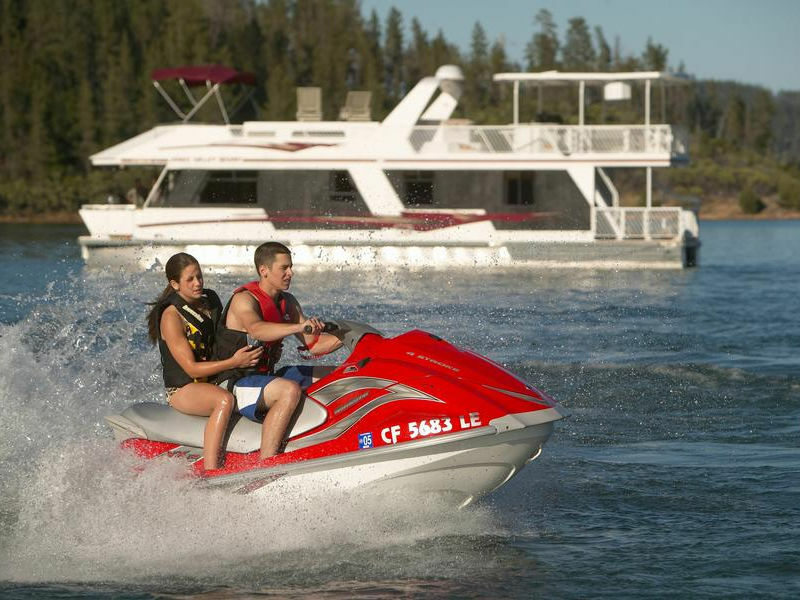 The contract holder plus one additional driver must be at least 21 years old at the Jones Valley Marina. 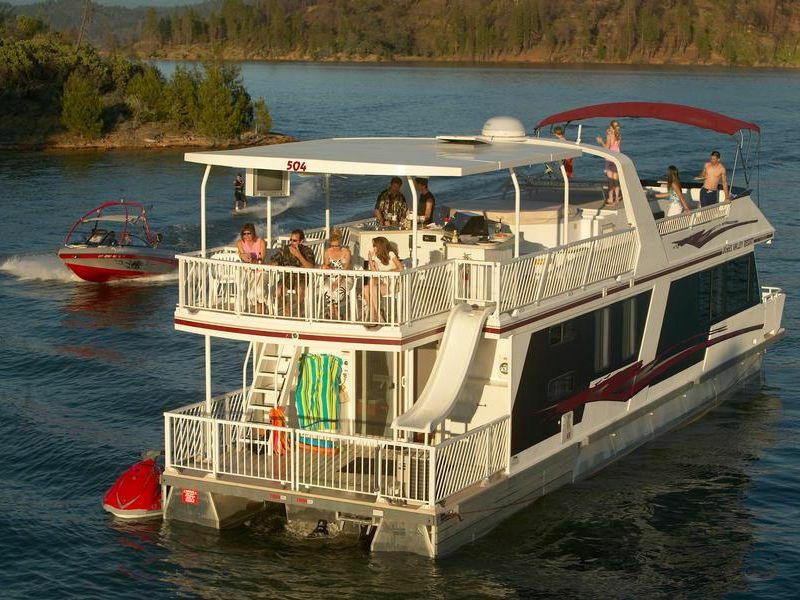 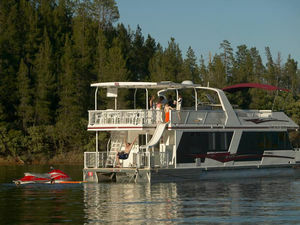 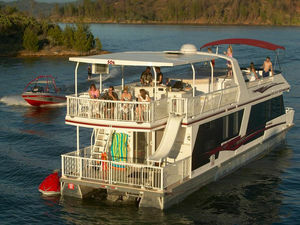 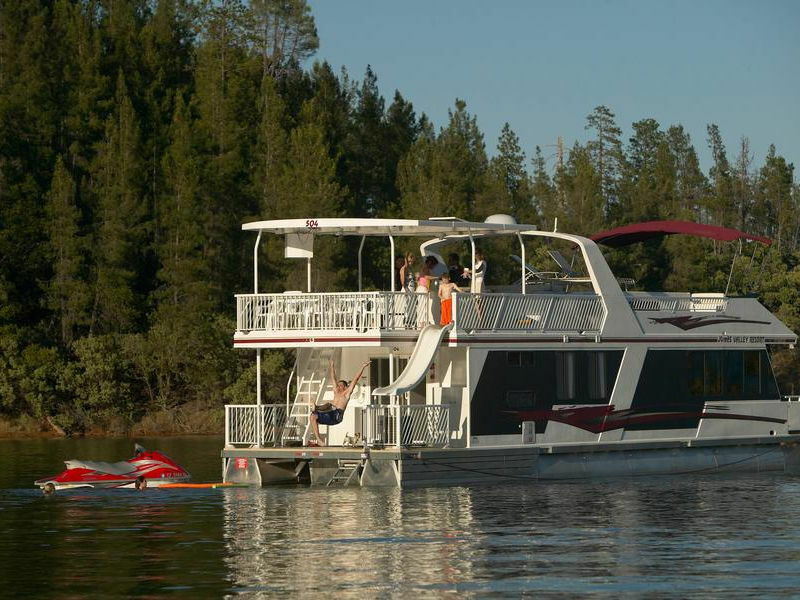 *For 3 and 4 night trips taking place during the month of May, an additional CASH deposit (no credit cards or checks) of $3000 will be due upon arrival for your houseboat vacation.